Get in touch with us, if you seek professional help to rectify vastu defects from your establishment. Ours is a licensed firm, specialized in providing consultancy solutions for commercial and residential properties. With our services, our associates analyze the directions, and accordingly suggest the use of vastu items to rectify structural defects. Creative Creation is a Dehradun (Uttarakhand, India) based company, and can be approached anytime for acquiring vastu consultancy services for all sorts of properties. 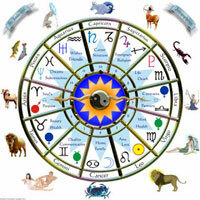 The aforementioned services are provided in accordance with the elevated vastu principles and rules. Clients can share the details through images or videos. We are into vastu consultancy since 2017 and can be trusted for negating different vastu from your property in an effective manner. So, whenever you seek vastu consultant in Dehradun, dial the given numbers.